Jimmy Del Ray formed a very successful tag team with Dr. Tom Prichard known as The Heavenly Bodies managed by Jim Cornette. July 3, 1993 – SMW TV: Jimmy del Ray vs. Steve Armstrong ended in a no contest. August 30, 1993 – SummerSlam: The Steiner Brothers defeated The Heavenly Bodies w/Jim Cornette to retain the Tag titles..
August 31, 1993 – RAW: The Steiner Brothers defeated The Heavenly Bodies w/Jim Cornette to retain the Tag titles. September 4, 1993 – SMW TV: Jimmy Del Ray defeated Ricky Morton to win the Beat The Champ Television title. September 11, 1993 – SMW TV: Jimmy Del Ray defeated Jason West to retain the Beat The Champ Television title. September 25, 1993 – SMW TV: Robert Gibson defeated Jimmy Del Ray to win the Beat The Champ Television title. 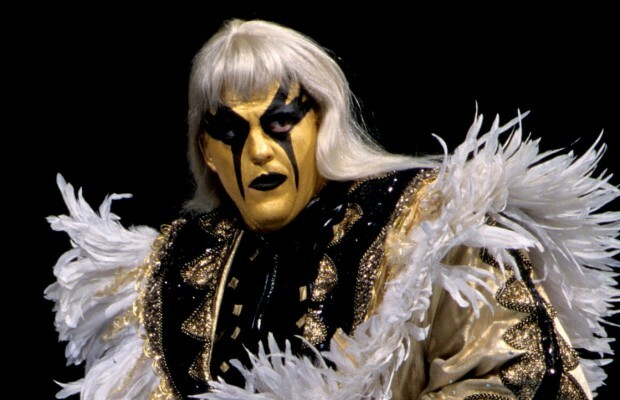 November 24, 1993 – Survivor Series: The Heavenly Bodies defeated The RockNRoll Express to win the SMW Tag Team titles..
November 27, 1993 – SMW TV: The Rock ‘n’ Roll Express (Ricky Morton & Robert Gibson) & Tracy Smothers defeated Brian Lee & The Heavenly Bodies (Jimmy del Ray & Tom Prichard) by DQ. December 11, 1993 – SMW TV: Tracy Smothers defeated Jimmy Del Ray to win the vacant Beat The Champ Television title. December 18, 1993 – SMW TV: The Heavenly Bodies (Jimmy del Ray & Tom Prichard) defeated Chris Kanyon & Michael Collins. January 8, 1994 – SMV TV: The Heavenly Bodies (Jimmy del Ray & Tom Prichard) defeated Chris Kanyon & Rock Regal. March 20, 1994 – WrestleMania X: The Heavenly Bodies (Jimmy del Ray & Tom Prichard) defeated The Bushwhackers (Bushwhacker Butch & Bushwhacker Luke) in a dark match. October 17, 1994 – RAW: The Heavenly Bodies defeated Nick Barbarry and Barry Horowitz. December 24, 1994 – Superstars: The Heavenly Bodies (Jimmy del Ray & Tom Prichard) defeated The Bushwhackers (Butch & Luke) in the quarter-finals. January 14, 1995 – Superstars: Bob Holly & The 1-2-3 Kid defeated The Heavenly Bodies (Jimmy del Ray & Tom Prichard) in the semi-finals. January 22, 1995 – Royal Rumble: Jimmy Del Ray was in the Royal Rumble match won by Shawn Michaels. February 24, 1995 – SMW: The Gangstas (Mustapha Saed & New Jack) defeated Heavenly Bodies (Jimmy del Ray & Tom Prichard). April 29, 1995 – Superstars: Bret Hart defeated Jimmy Del Ray. July 20, 1995 – PCW: Assault And Battery (Jimmy Deo & Maxx Crimson) defeated The Heavenly Bodies (Jimmy del Ray & Tom Prichard) to retain the tag team titles. July 22, 1995 – PCW: Assault And Battery (Jimmy Deo & Maxx Crimson) defeated The Heavenly Bodies (Jimmy del Ray & Tom Prichard) to win the tag titles. July 24, 1995 – RAW: Shawn Michaels defeated Jimmy del Ray. August 5, 1995 – SMW: The Heavenly Bodies (Jimmy del Ray & Tom Prichard) defeated Tony Anthony & Tracy Smothers to retain the tag team titles. September 23, 1995 – SMW TV: The Heavenly Bodies (Jimmy del Ray & Tom Prichard) defeated Chris Michaels & Robert Gibson by disqualification. 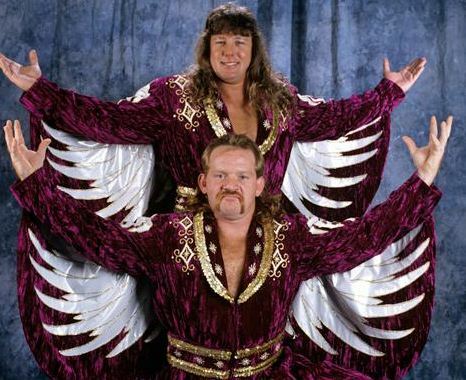 October 2, 1995 – USWA: The Heavenly Bodies (Jimmy del Ray & Tom Prichard) defeated Tekkno Team 2000 (Travis & Troy). October 7, 1995 – SMW TV: The Heavenly Bodies (Jimmy del Ray & Tom Prichard) defeated The THUGs (Dirty White Boy & Tracy Smothers). December 9, 1995 – ECW December to Dismember: The Public Enemy (Johnny Grunge & Rocco Rock) defeated The Heavenly Bodies (Jimmy del Ray & Tom Prichard). The Pitbulls (Pitbull #1 & Pitbull #2), The Public Enemy (Johnny Grunge & Rocco Rock) & Tommy Dreamer defeated Raven, Stevie Richards, The Eliminators (John Kronus & Perry Saturn) & The Heavenly Bodies (Jimmy del Ray & Tom Prichard) in the Ultimate Jeopardy Steel Cage match. January 5, 1996 – ECW House Party: Buh Buh Ray Dudley defeated Jimmy del Ray. September 21, 1996 – WWA: Tito Santana defeated Jimmy del Ray. September 28, 1996 – NWA New Jersey: Reckless Youth defeated Jimmy del Ray. October 21, 1996 – WCW Monday NITRO: Chris Jericho defeated Jimmy Graffiti. October 26, 1996 – Saturday Night: Jimmy Graffiti defeated The Cheetah Kid. October 28, 1996 – WCW Monday NITRO: Rey Misterio Jr. defeated Jimmy Graffiti. November 2, 1996 – Saturday Night: Eddie Guerrero defeated Jimmy Graffiti. November 24, 1996 – World War 3: Jimmy Graffiti was in the 3 ring battle royal won by The Giant. December 9, 1996 – WCW Monday NITRO: Dean Malenko defeated Jimmy Graffiti to retain the world cruiserweight title. January 4, 1997 – Saturday Night: Chris Jericho defeated Jim Richland. Jimmy Del Ray is now an instructor at Steve Keirn’s Wrestling School in Florida. Jimmy Del Ray passed away on December 6, 2014.